In the past I have made the observation that some people play at personal defense. These may be the folks who keep buying gun after gun and not budgeting any money for professional training. These may also be the folks who see themselves as pseudo-soldiers who feel the need to wear all sorts of web gear and tactical outfits to play the role. Closely akin to these are the guys who are wanna-be snipers, like they are ready to go when the Pentagon calls them. The one thing that just about all of us have in common is that we lack the time and the money to do as much training and practicing as we know that we really need to do. For this reason, when it comes to personal defense, we should be spending that time and money on training and practice that has a real-world application to the sort of threats that we may realistically encounter. Are we more likely to have to face an attack by an army of Chinese Communists, or are we more likely to have face a home invasion or walking in on a convenience store robbery? The serious defensive shooter should evaluate the most likely threats that he will encounter in his everyday life and train and practice for dealing with those threats. The best way to do that is to get professional training from a reputable outfit and then practice what they are teaching you. Mastering the basics of a speedy draw, accurate shot placement, and defensive tactics, is more likely to save the average American’s life than is the ability to hit a metal plate at 1,000 yards. 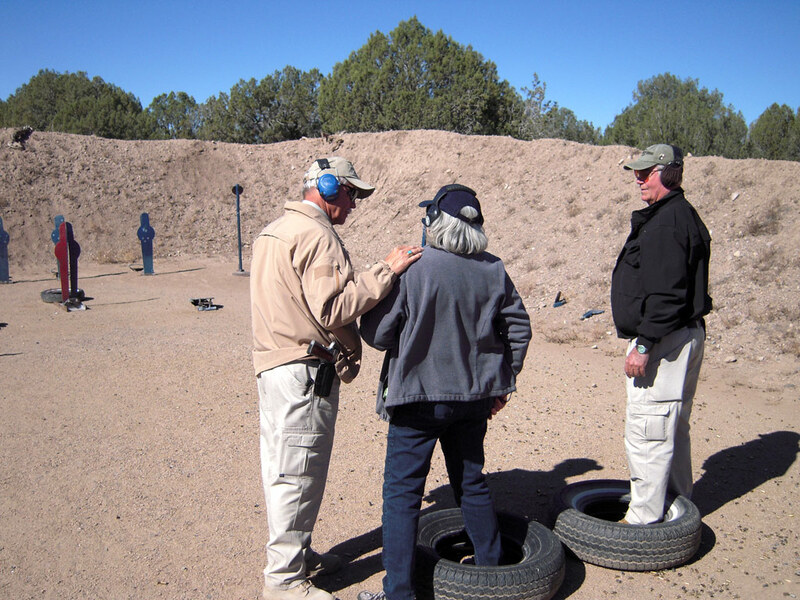 Sadly, too many of these folks who play at self defense will tell you that they are skilled at all levels of personal defense – we’re talking really “bad news for bad guys” here. Unfortunately, many of those who finally attend a reputable training school can’t even demonstrate a mastery of basic defensive skills. In the old days we talked about guys like this being more deadly with a Smith-Corona than they were with a Smith & Wesson. Nowadays, they may just be Keyboard Kommandos doing the Internet Strut. We are fortunate that there is so much good defensive training to be had out there today. When you get ready to spend your hard-earned money, make an effort to assure that the class you are signing up for will help you come away with skills that will keep you safe in your everyday life. You will also begin to learn to tell the difference between a serious defensive shooter and a Keyboard Kommando. It’s your decision, are you going to develop skills that will protect you and your family, or are you just going to play shoot-em-up games? This entry was posted in Personal Defense, Philosophy, Training and tagged American Sniper, col. jeff cooper, gunsite, home defense, Keyboard Kommandos, tactical gear. Bookmark the permalink. 14 Responses to Training or Playing? (Raises hand) I’ll plead guilty to the ‘buying gun after gun’. Sheriff, old time shooters like you make common sense. If today I had just.one revolver and keapt one pistol, I would be well armed AND trained had I used the $$$ as suggested. Well said. I also feel the police are in the same situation, in a much lesser degree than civilians. With budgets cut back and other fiscal restraints placed upon them, law enforcement officers are finding it necessary to get additional training at their own cost, which while it makes sense, seems wrong. Their government entities who employ them should be taking the initiative to maintain as well as constantly improve the officers skill and knowledge base. Yes, I agree with your statements. My question is how do we accomplish the goal of more training with out laws that mandate it? (I certainly would not favor such laws) Second, many of the people that need self/home defense are in places and income levels where even one gun purchase is a major investment for their budget. So, why are we not pushing for local police departments to offer citizen gun training classes for their residents. It would give the police a chance to get the good citizens to meet and understand their local law enforcement and train some good guys? February helping an Audad hunter. I’ll be packing a Colt SAA in .44 Special. Cast BRP bullets over some Universal Clays. it has been my observation that people that want the training find the money to pay for the training. Most people of my local acquaintance talk about self defense but I don’t think they think they will ever need it. All of them can afford training but do not get it. Most of these people never carry a gun on their person, they may have one in their vehicle. In my opinion if a person is serious about self defense they will have a gun on their person or no more than a step away from a gun whether they are looking at t.v., taking a shower, or cutting the grass. Not many people do that. While I agree that most people that understand why we bear arms (not playing) will find a way for training either by formal classes or informal training with friends. However, I think there is a segment of people that live in poor neighborhoods that have a real issue with finding the funds for both gun and training. I think that such people have to be involved to take back such places from the thugs and gangs.